Growing up in a perpetual shadow of conflict and turmoil, Younus Khan and Misbahul Haq were two beacons of calmness that you could count on to somehow make things better. We are fortunate enough to be in the same era as them, watch them steady the ship on countless occasions and reach new heights in the process. Younus and Misbah were deeply engrossed in a storyline that was full of emotions, more lows than highs, and the highs underappreciated. 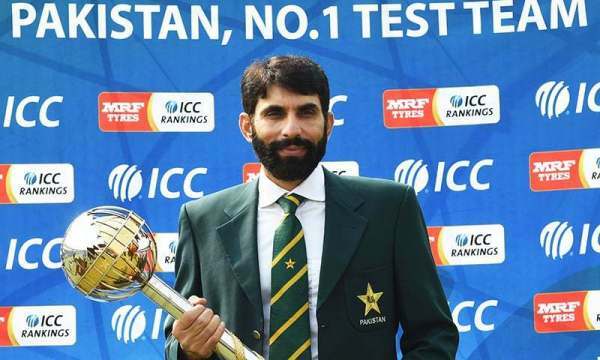 When Misbah went down at Lord’s, he picked up Pakistan’s crest that had been lying in the dirt since 2010 and proudly placed it on the honour boards for upcoming generations to see and the cycle was finally complete. Both Younus and Misbah led in an era that epitomises everything the country’s cricket has ever stood for – never give up – yet they explored and shared with us a side of the game that the people had never learned to love. None of them ever cared about the aesthetics of it. They were like hard labourers who would come in every day, do what they would have to do and go back with minimal appreciation, often ingratitude, only to keep up with this routine until the building is complete and their work is complete. 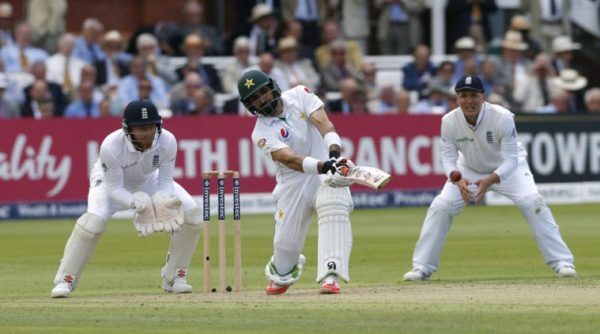 Misbah succumbed to an attempted slog sweep and Younus to his signature sweep and in that moment their entire careers flashed before the eyes of everyone who saw heroes in them. In that bittersweet moment, the era of Younus and Misbah came to an end. Not too long after the two had made their way back to the pavilion, Pakistan, in typical fashion, found themselves in trouble. 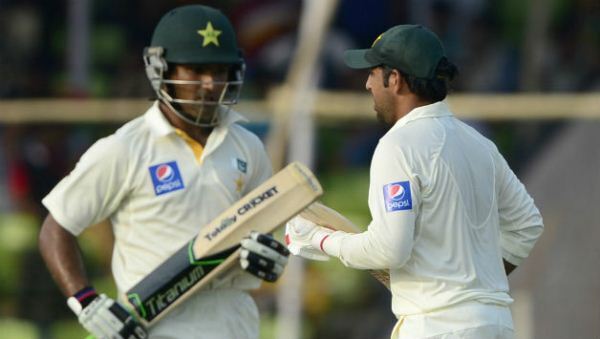 Reeling to get a quick lead in an attempt to force a result, Pakistan quickly lost both Asad Shafiq and Sarfraz Ahmed. One can only wonder what Younus and Misbah would have said to each other at that point. There was a time, not too long ago, when Pakistan possessed the Test mace and found themselves on top of the mountain. That moment did not last long and everyone had to snap back to reality much sooner than expected. The same is expected now that Pakistan has a void to fill in the middle-order with Younus and Misbah having played their last. There are candidates, some more abled than the others, who are itching to make these two spots theirs. 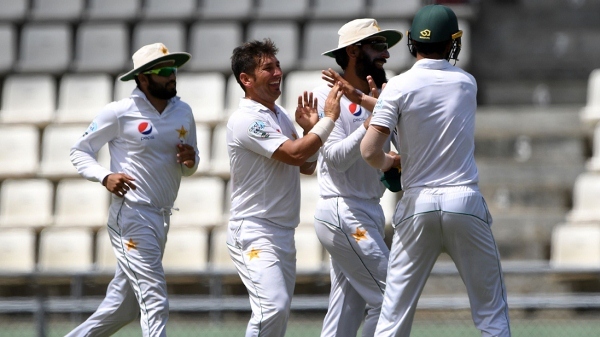 Usman Salahuddin, we see, is already part of the Test squad and the fact that the selectors opted for him to travel with the squad to the Caribbean despite him having virtually no chances of debuting in a well-settled line-up is good enough indication that he is part of their long-term plans. Usman, likely to be 27 by the time he debuts, is not the young star that Babar Azam is, but the time and place is right for him. Usman, for two consecutive seasons, has forced his way to the top of batting charts and proved that he is at his physical and mental peak. 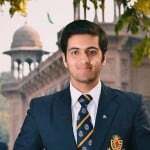 Normally, players that enter Pakistan’s domestic set-up exit it with zero game development and improvements, primarily due to the lack of a system that could help these players climb up the ranks and rectify errors that have been part of their game since their school-boy days. Usman, however, has improved considerably since his two rarely talked about One Day International (ODI) outings for Pakistan. Averaging 47 after 92 First Class (FC) matches, Usman has both the temperament and technique to succeed at the highest level in his preferred format. With Usman virtually assured a Test debut in the next series, Pakistan are left with one more spot to fill and there are two left-handers who would love nothing more than to step up to the task and rekindle their international careers. 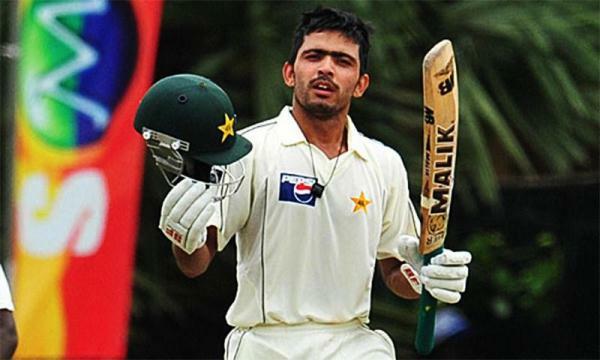 Haris Sohail and Fawad Alam are good enough to play Test cricket for Pakistan and there are no two ways about it. Fawad, despite having a prolific FC record, has been given the cold shoulder by the selectors. Fawad has everything you would want from an international player. He is extremely fit­­ – fitter than half the current squad – and an asset in the field as we have seen in the past. Fawad being neglected might have more to it than the selectors not considering him to be good enough, but Haris is privileged in the sense that almost everyone, including the selectors, is high on the idea of him being part of Pakistan’s middle-order. Haris, prior to his lengthy absence due to injury, formed the backbone of Pakistan’s upper middle-order and was deployed in a role similar, if not completely the same, to Babar’s. However, in Haris’ case, there is an issue surrounding his lack of FC game time since his comeback that might cause some hindrance. 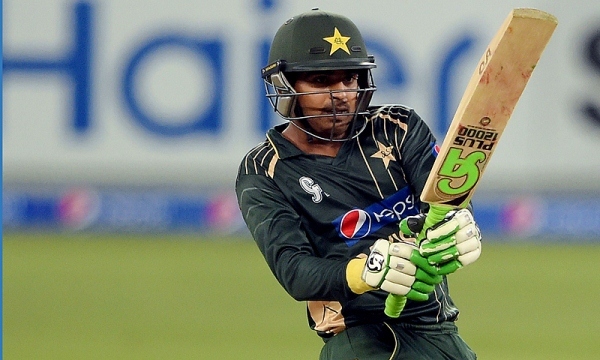 Another option that Pakistan will be considering is to shift Shafiq up from number six and accommodate an all-rounder in his place. Pakistan have struggled in recent times with the fifth bowling option and with slots opening up in the line-up, our management could very well throw in an all-rounder who gives them something more to work with. As far as pace all-rounders go, two options that come to mind are Hussain Talat and Fahim Ashraf. While Talat is the superior batsman, Fahim is the superior bowler and it could come down to conditions and team requirements that make the call between the two. Both youngsters, however, would ideally get some more FC experience under their belt before they are thrown into the mix. 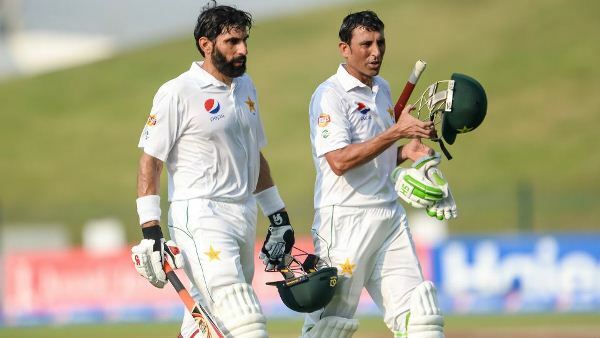 All in all, with Misbah and Younus retiring, Pakistan have now officially entered a new era where there will be plenty of opportunities for proven performers, plenty of routes that the management can take and, hopefully, not-so-plenty times when we miss having the two in the side. Pakistan’s thrilling victory over the West Indies on the final ball of the second-last over of the series was a fitting tribute to Misbah and Younus’ efforts. Yasir Shah claiming his fifth scalp and his eyes eagerly searching for Misbah in a sea of exuberant faces, signalling one last time that it worked. Shadab Khan and Mohammad Asghar, the two youngest members of the squad who have been touted to lead Pakistan’s bowling attack in the years to come, carrying Younus’ legacy, a life-long servant of the gentleman’s game, on their shoulders. It felt like a passing of the torch. It was poetic. In Dominica, final goodbyes have been said. 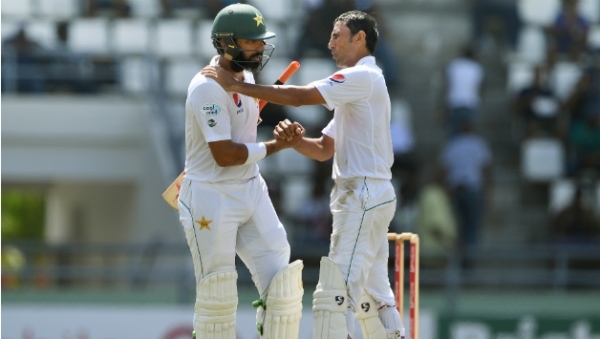 The Pakistan Test team has now officially entered a new era where there will be plenty of opportunities for proven performers, plenty of routes that the management can take and, hopefully, not-so-plenty times when we miss having the two in the side.